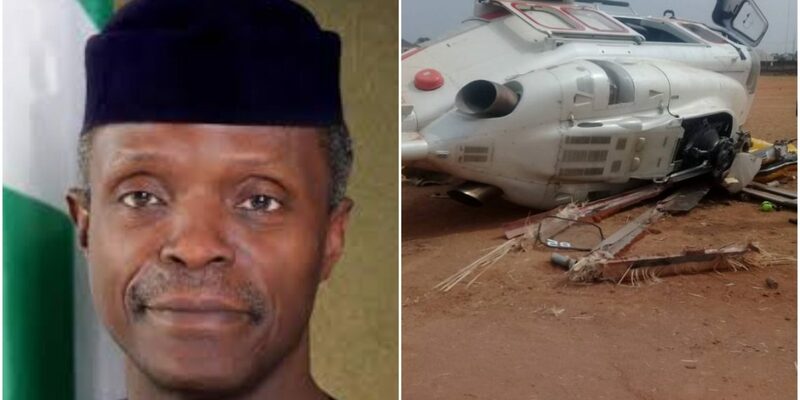 The Peoples Democratic Party (PDP) has appreciated God for the safety of the Vice President, Prof. Yemi Osinbajo, members of his entourage and the crew, after the Saturday helicopter crash in Kabba, Kogi. PDP, however, called for a thorough investigation into the traumatic incident, adding that the safety of our leaders, and of course, all Nigerians, must be guaranteed, especially at this critical time. “The PDP urges all Nigerians irrespective of creed, ethnicity and political affiliation, to continue to pray for God’s continued intervention in our national life,” it stated.